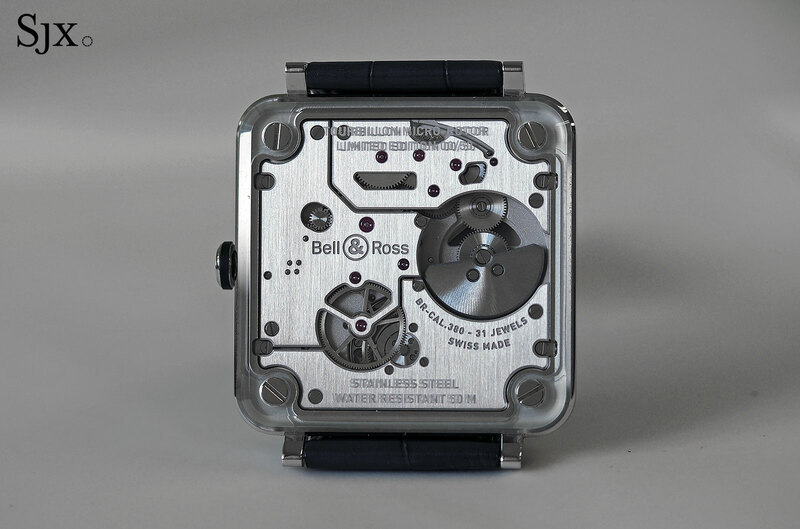 Bell & Ross typically makes affordable, military-inspired wristwatches, which it does well. 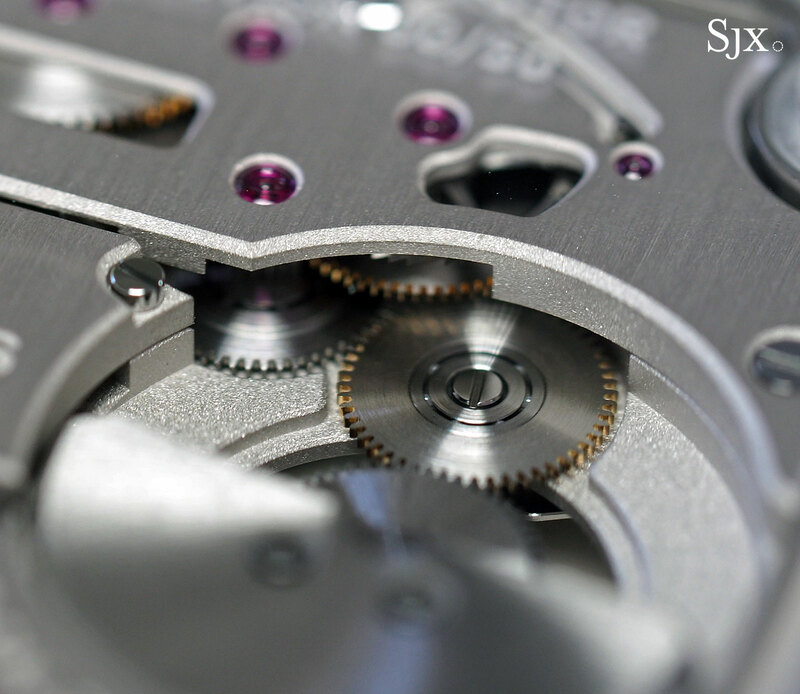 When the French watchmaker made complicated watches in the past, they tended to look, well, complicated. 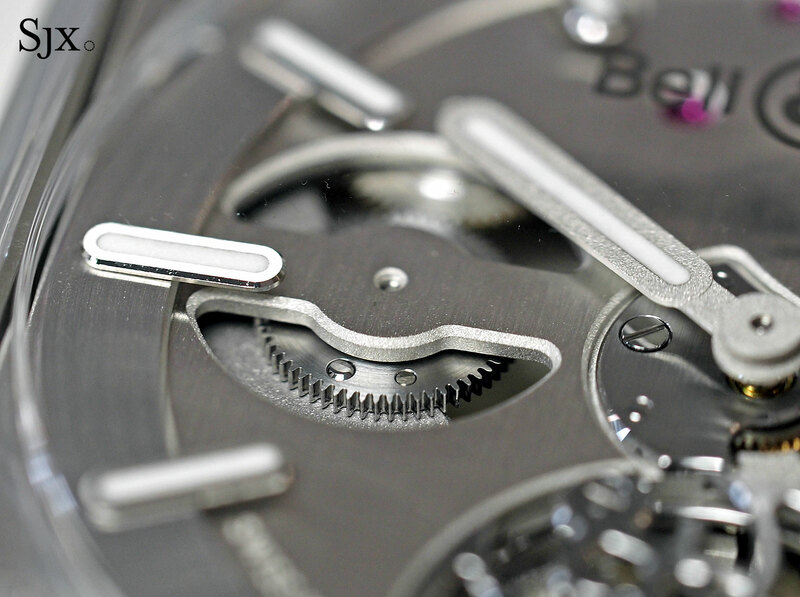 Taking a different tack is the BR-X2 Tourbillon Micro-Rotor. 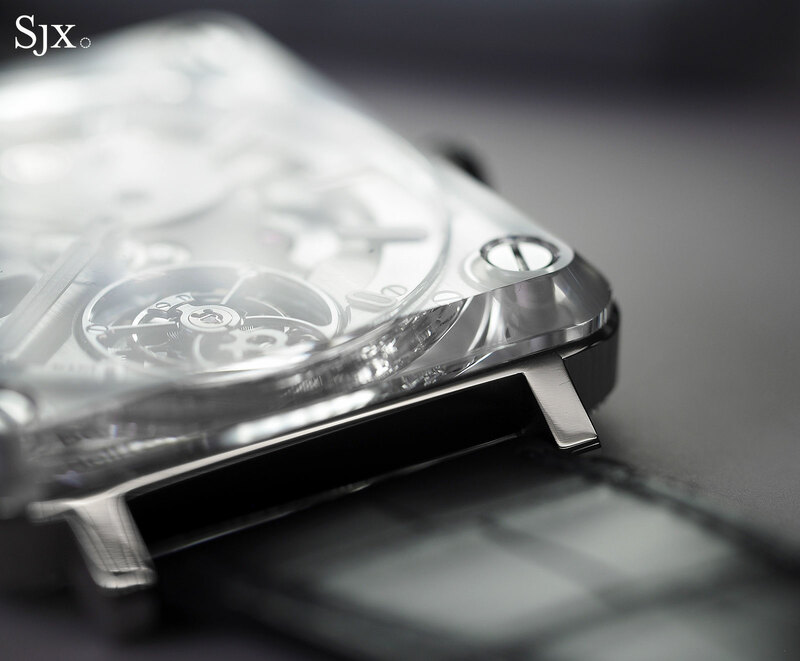 Thin and conceived to have minimal case and maximum movement, it’s fitted with panoramic sapphire crystals front and back. 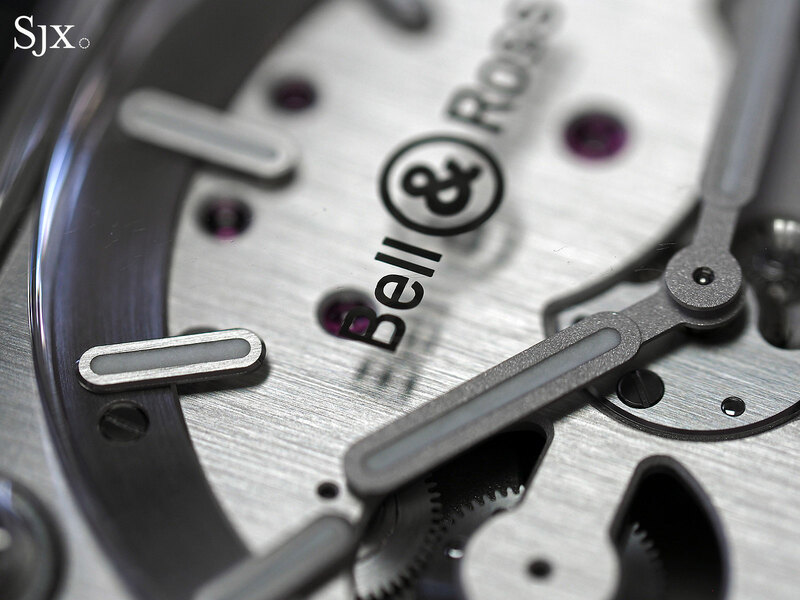 The thick, bevelled sapphire crystals on both faces comprise more than half of the case height, offering a free and clear view of the movement. 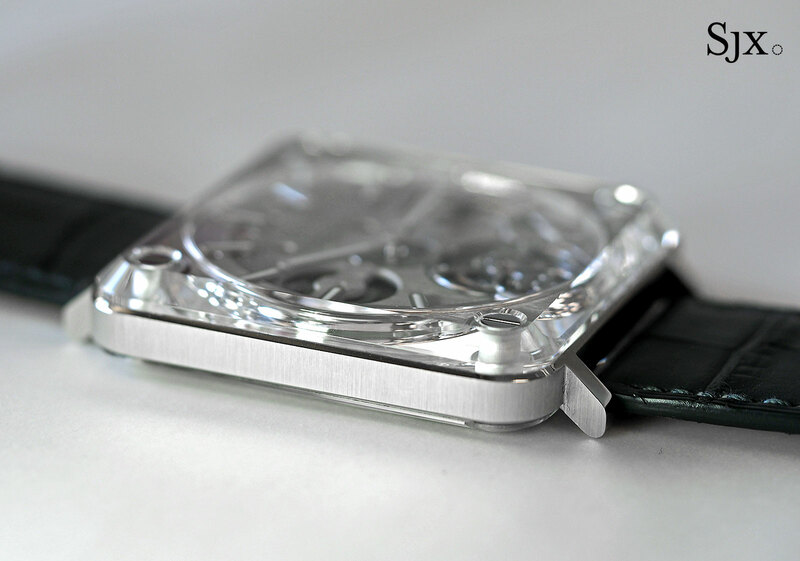 The sloping sides of both crystals are mirror-polished, enhancing their transparency and letting more light into the movement. 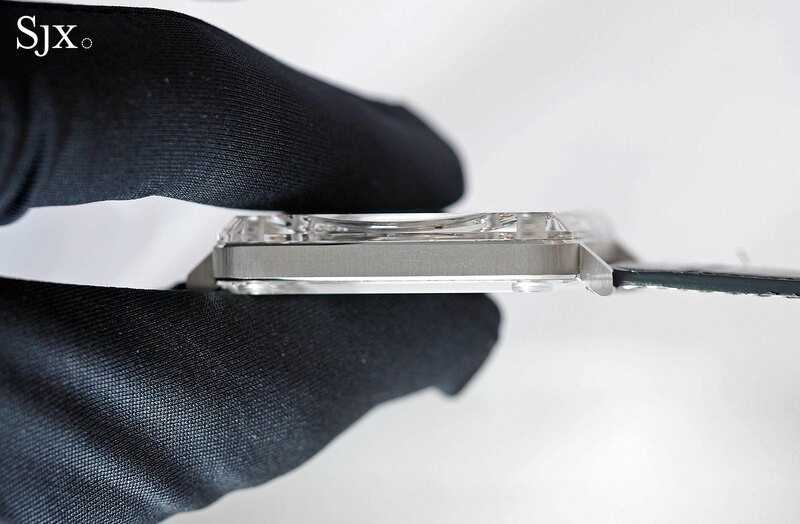 Clear gaskets on both side sit invisibly under the crystals, giving the case a respectable 50m water-resistance without obstructing the view. 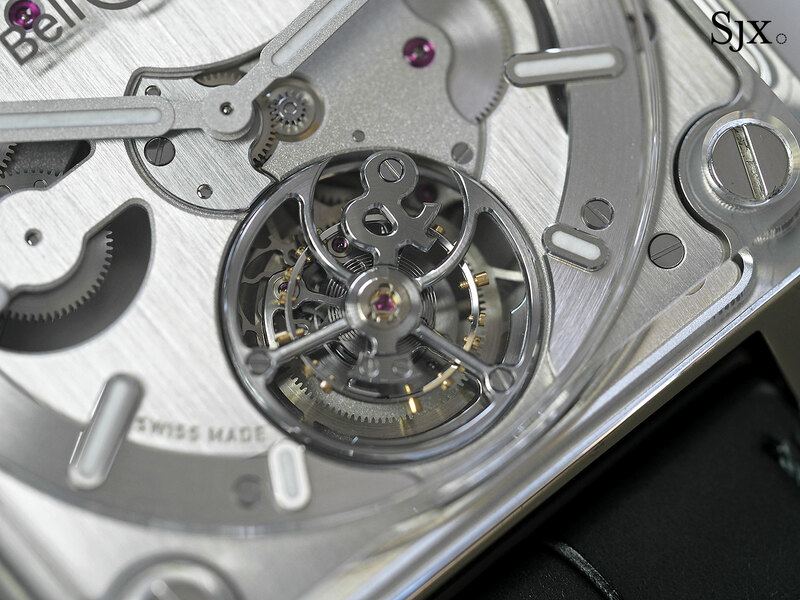 Rather than enclose the movement, the steel case frames it, with the movement having been constructed to fit within like a painting in a frame. 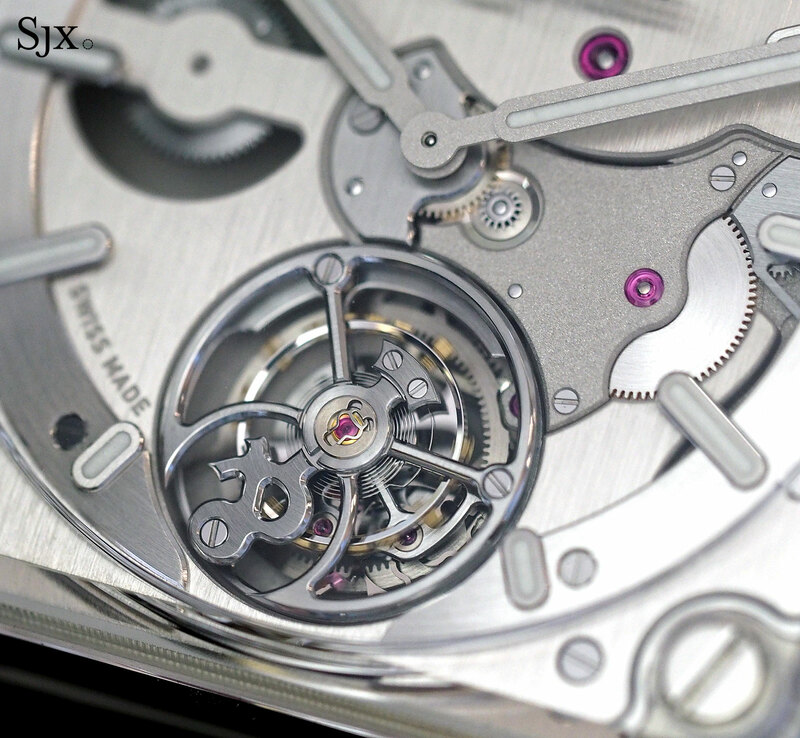 In fact, the movement and case appear almost seamless, with the narrowest of space between them. 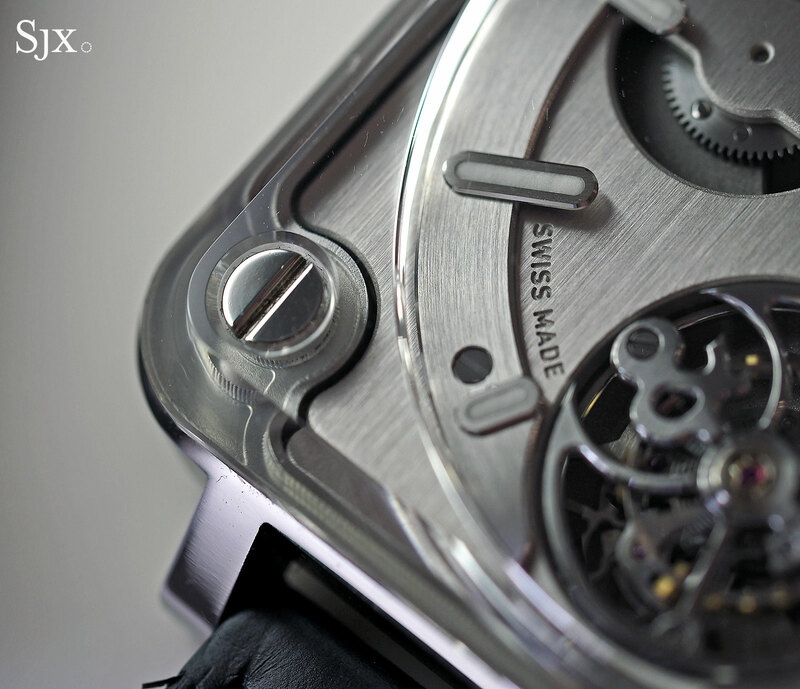 The BR-X2 is a large watch, measuring 42.5mm both ways, but thin at just 8.9mm high. 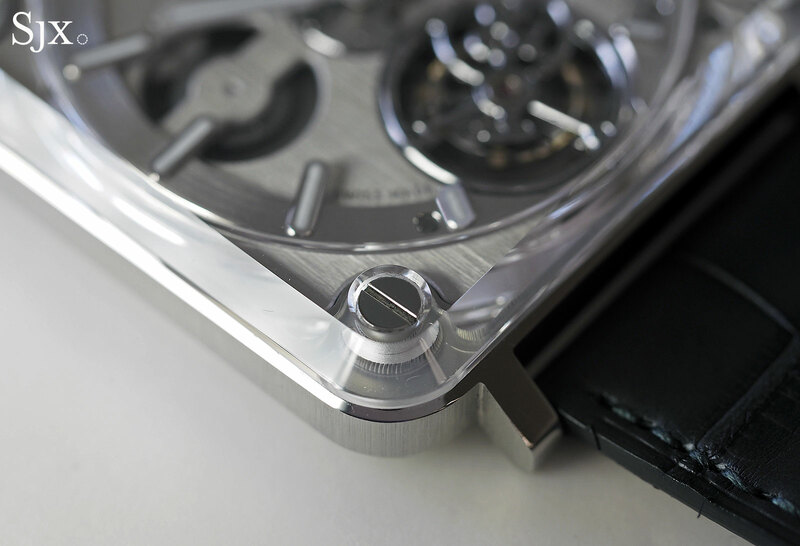 Though it is made of steel, the case feels like titanium, since there is little of it. 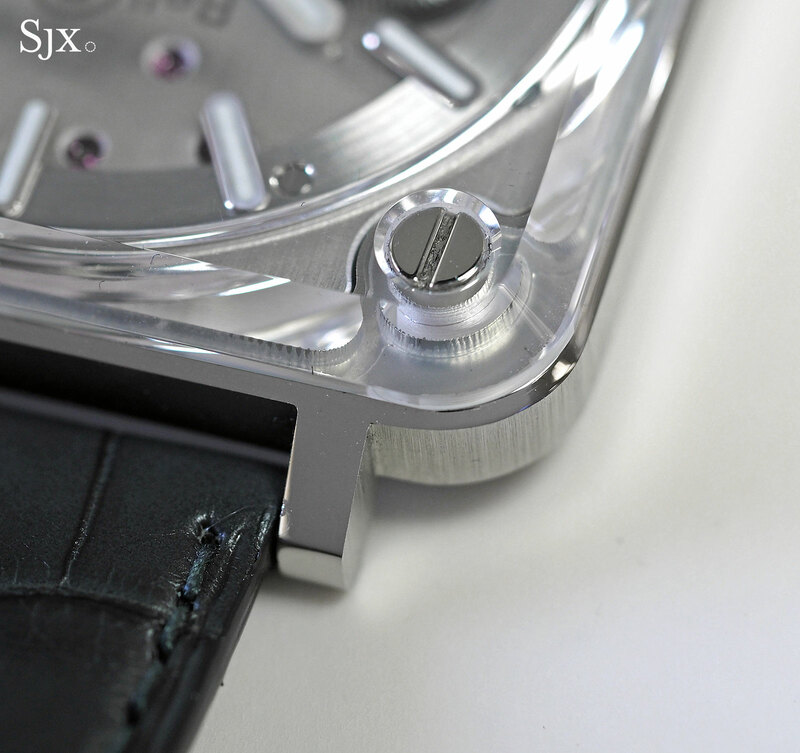 The short lugs allow it to sit well on the wrist, while also accentuating its size. 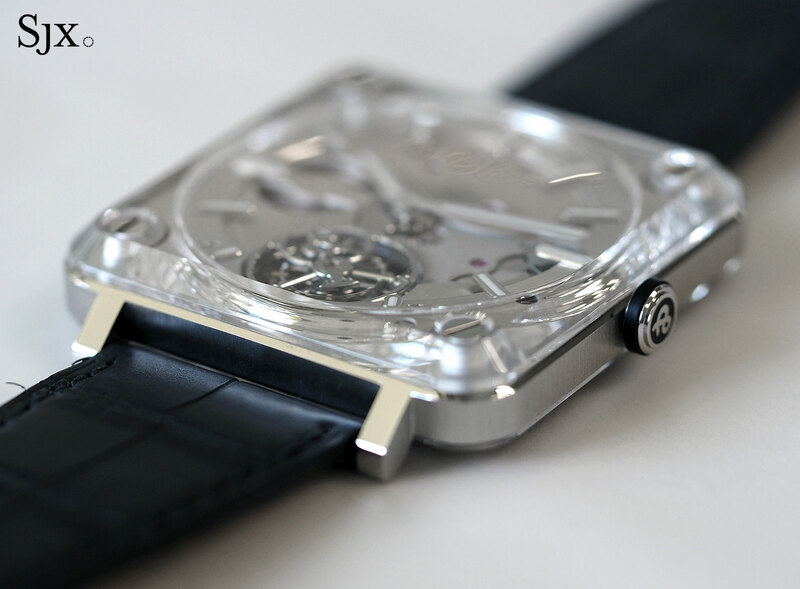 The watch is one of the thinnest tourbillon watches on the market; there are only about a half dozen tourbillon wristwatches with cases below 10mm. Most of that height, however, is sapphire crystal. 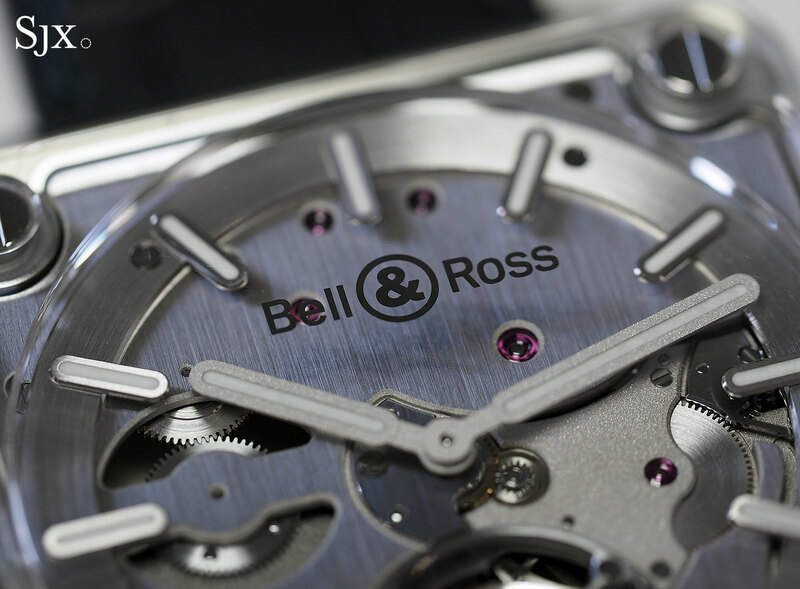 The only fancy detailing on the watch is the tourbillon cage six o’clock that takes the form of the ampersand from the Bell & Ross logo. 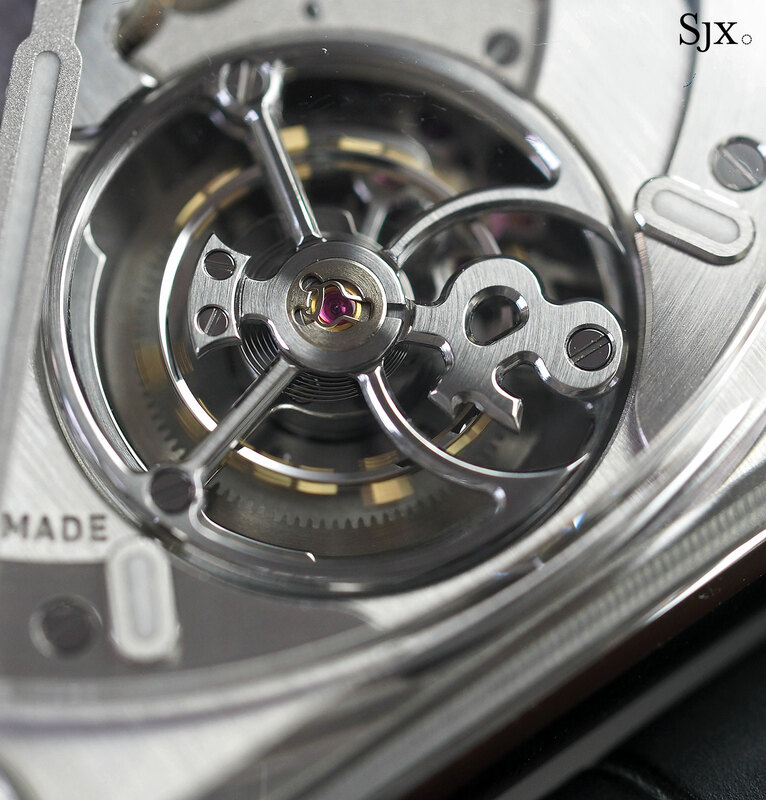 While that’s found on all of the brand’s tourbillons, a simpler cage design would have been more congruent with the clean lines of the watch. 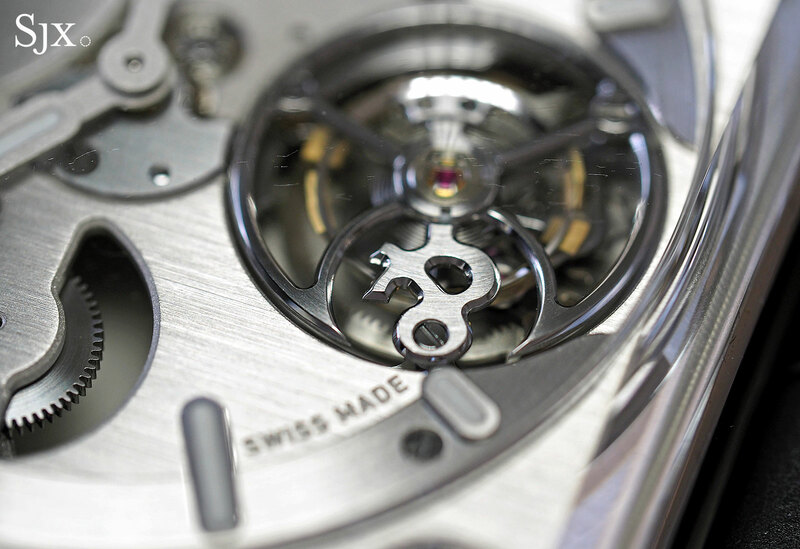 Like the other tourbillon movements used by Bell & Ross, the BR-CAL.380 was developed by MHC Manufacture Haute Complication, a Geneva-based complications specialist formed by watchmakers from BNB Concept, a movement maker that was acquired by Hublot after going bust. 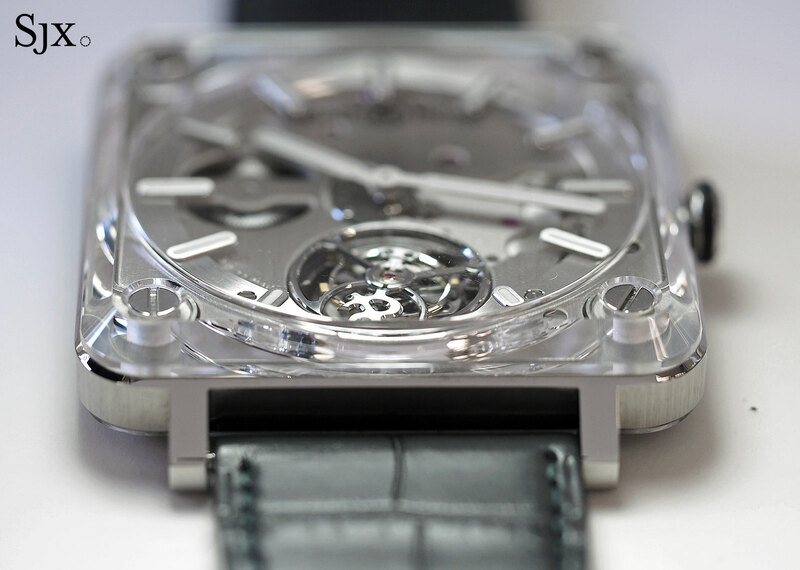 Amongst other things, MHC helped build the Girard-Perregaux Tri-Axial Tourbillon. 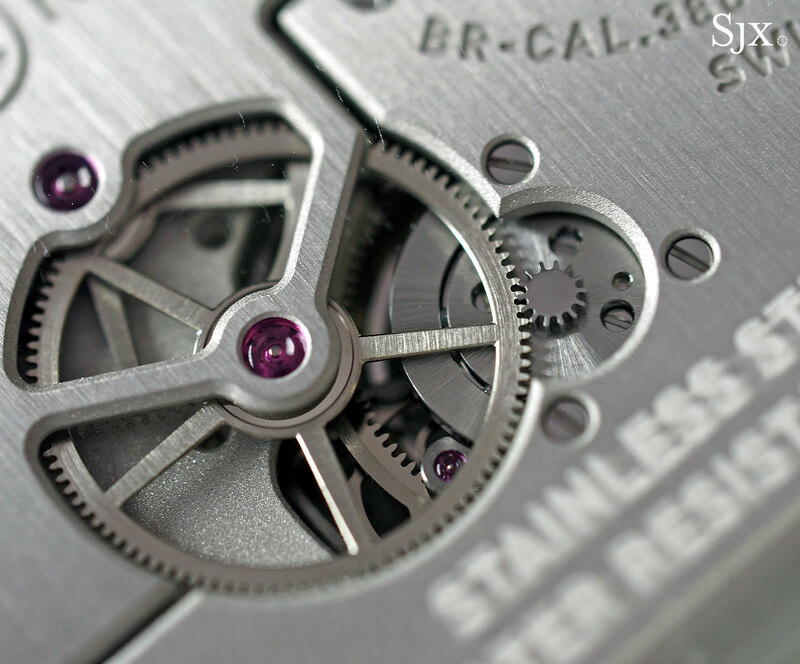 The base plate and bridges of the BR-CAL.380 inside give it a square footprint with rounded cut-outs at each corner to accommodate the screws on the case. 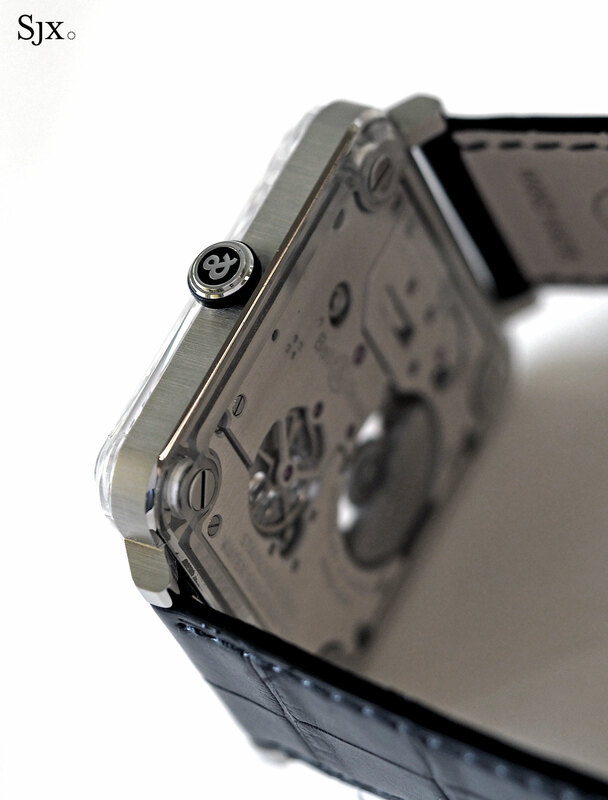 This allows the movement to slide neatly into the frame of the case, secured in place by four small clips on the back. 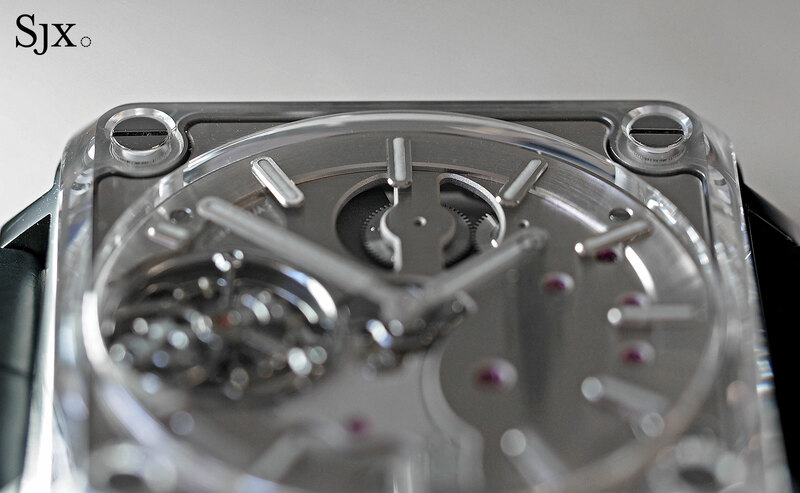 Measuring 36mm by 36mm, the movement is large but just 4.05mm in height. 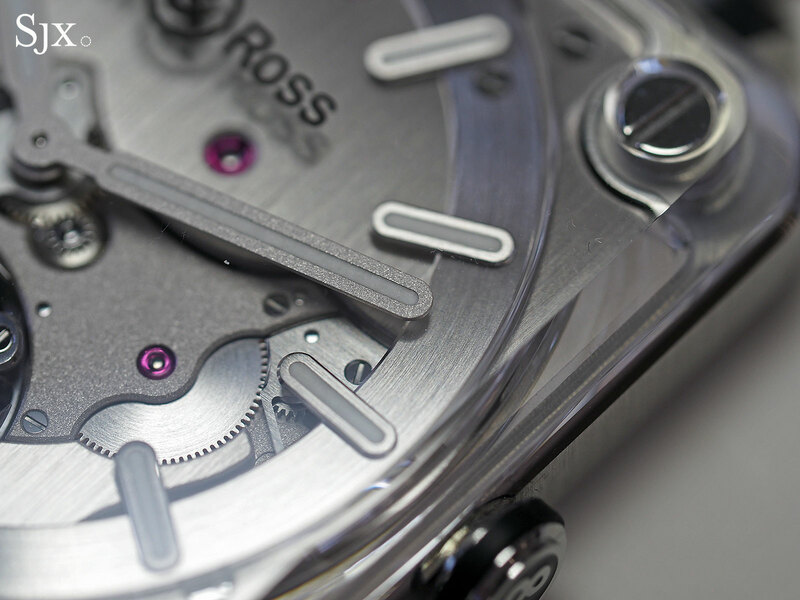 It’s self-winding with a micro-rotor made of a dense tungsten alloy on the back and a 50-hour power reserve. 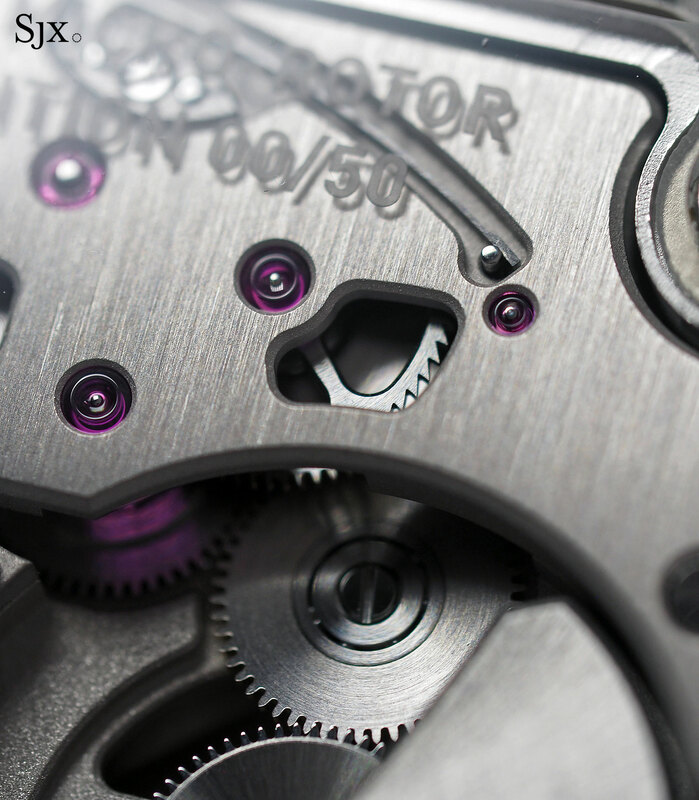 The movement layout is intuitive, with the base of the winding mechanism visible on the dial at nine o’clock, while part of the gear train is visible on the back. 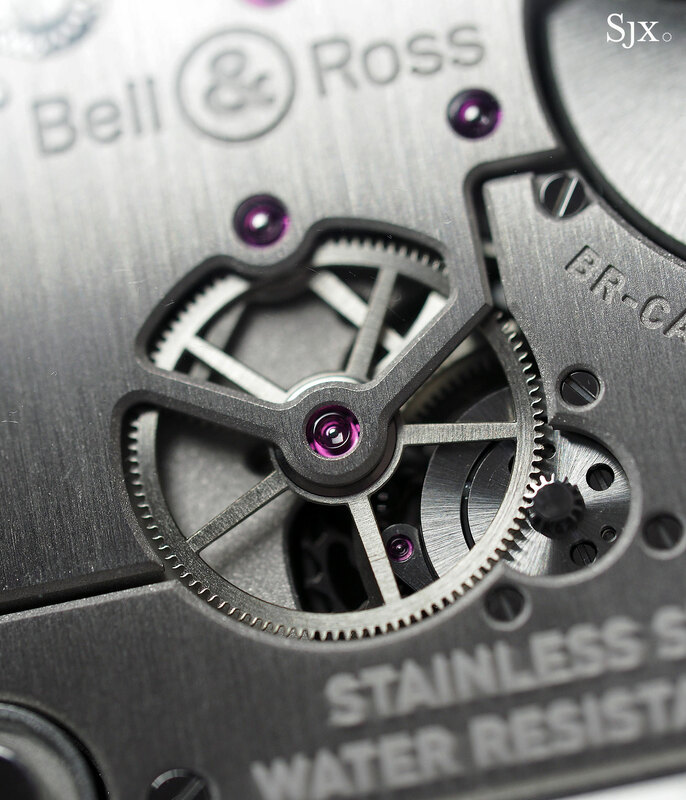 Though the watch is almost monochromatic, being almost entirely in different tones of silver, the varied surface finishing gives the colour palette nuance. 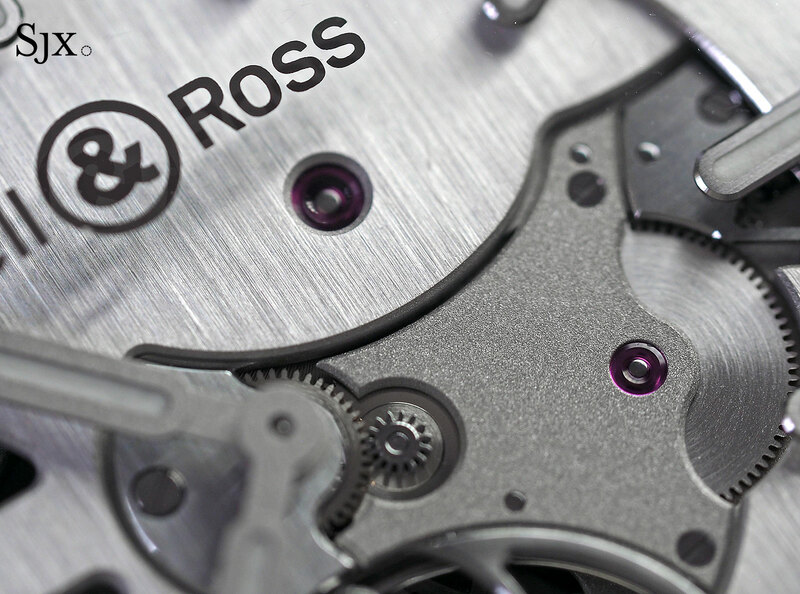 Most of the movement is rhodium-plated and finished with a vertical brushed finish, though a handful of parts are sandblasted to leave a coarse, grained surface. 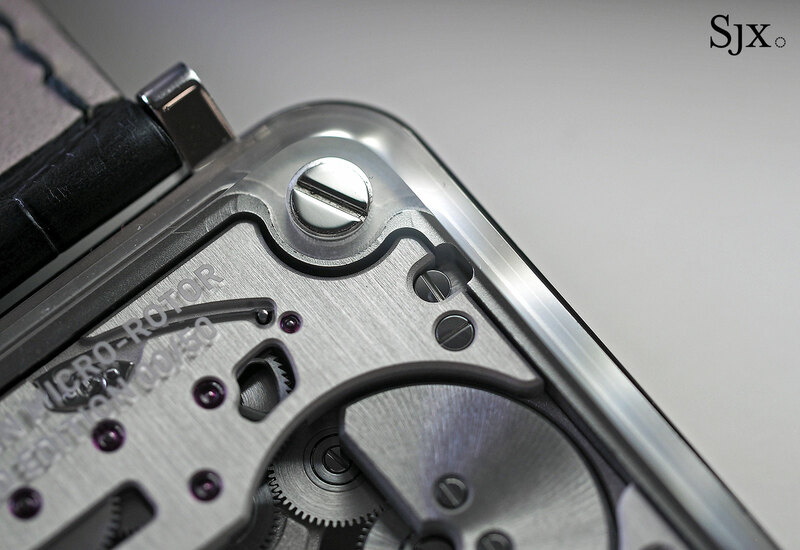 The contrast is obvious on the front, with the brushed base plate against the sandblasted bridge for the keyless works. 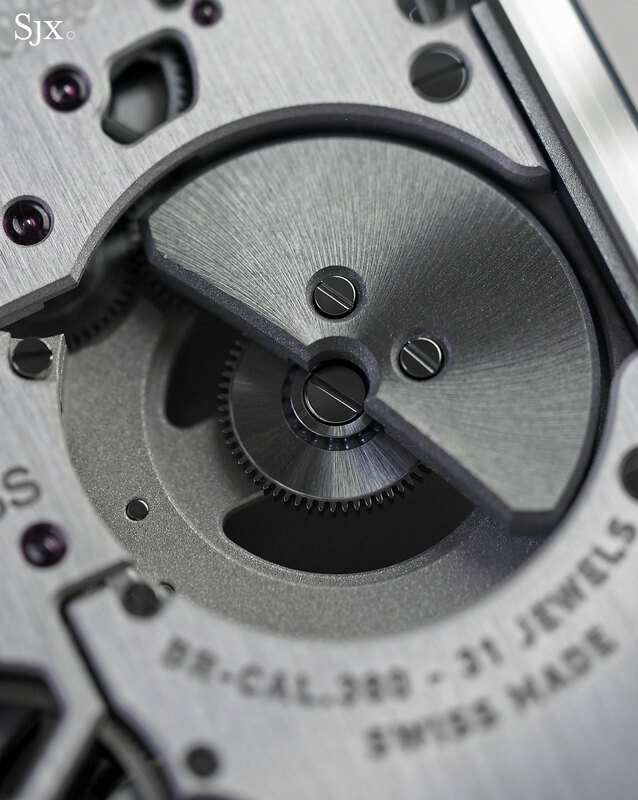 And just above the base plate sits a sloping flange finished with circular brushing that holds the baton hour markers, which gently float above the dial. 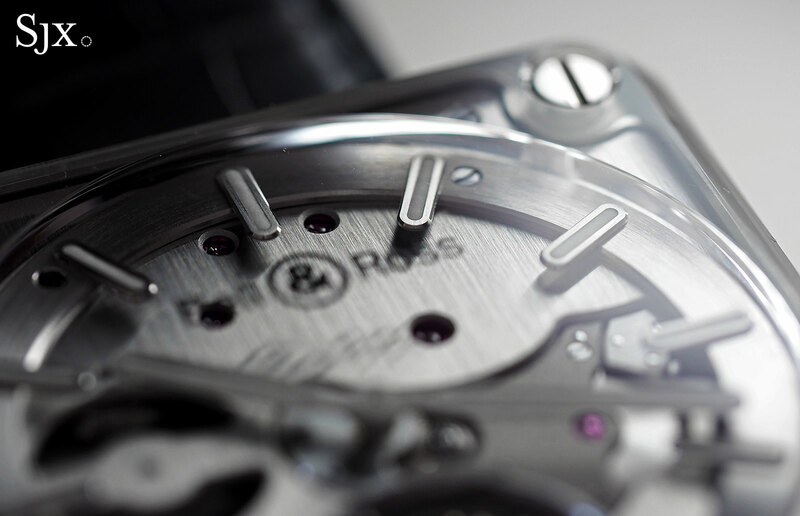 They are matched with frosted hour and minute hands, all of which are strongly legible. On the back the aesthetic is identical, with vertical brushing on all flat surfaces, while bevels and recessed areas are sandblasted. The look is crisp and functional, though smaller components are finished more decoratively. 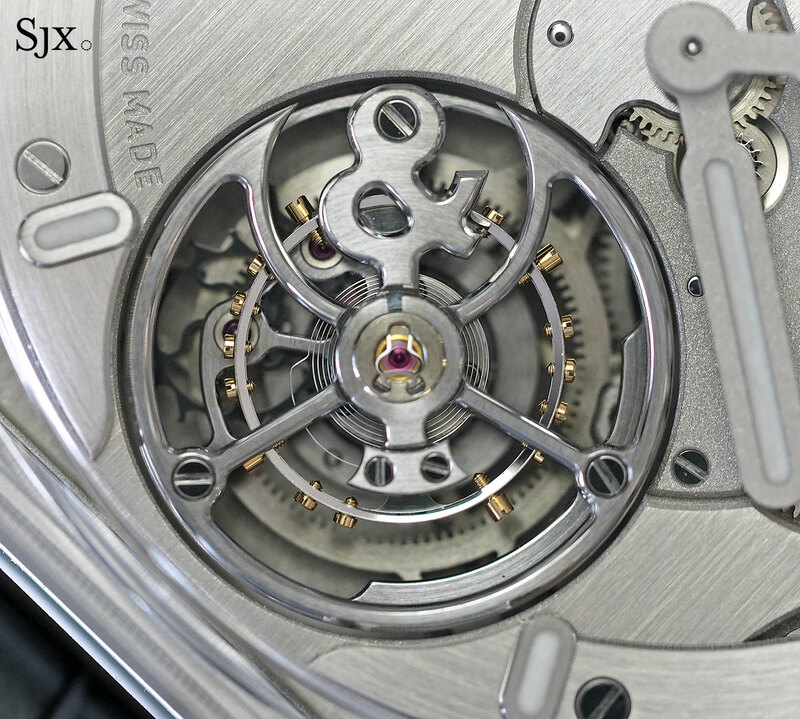 Gears, for instance, have their faces circular grained and spokes bevelled, while the tourbillon cage is brushed on top and polished on its edges. 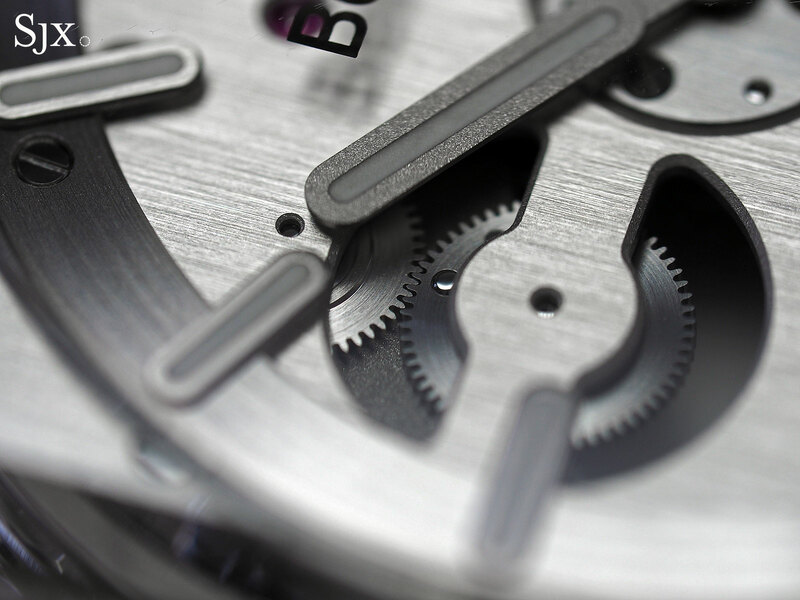 By no means artisanal, the finishing is eminently suited to the look (and price) of the watch. 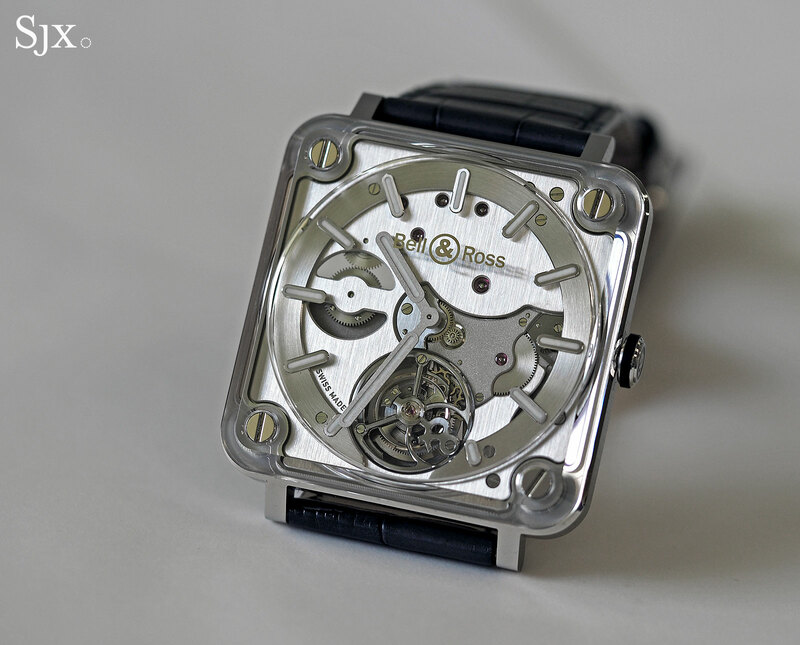 The BR-X2 Tourbillon Micro-Rotor (ref. 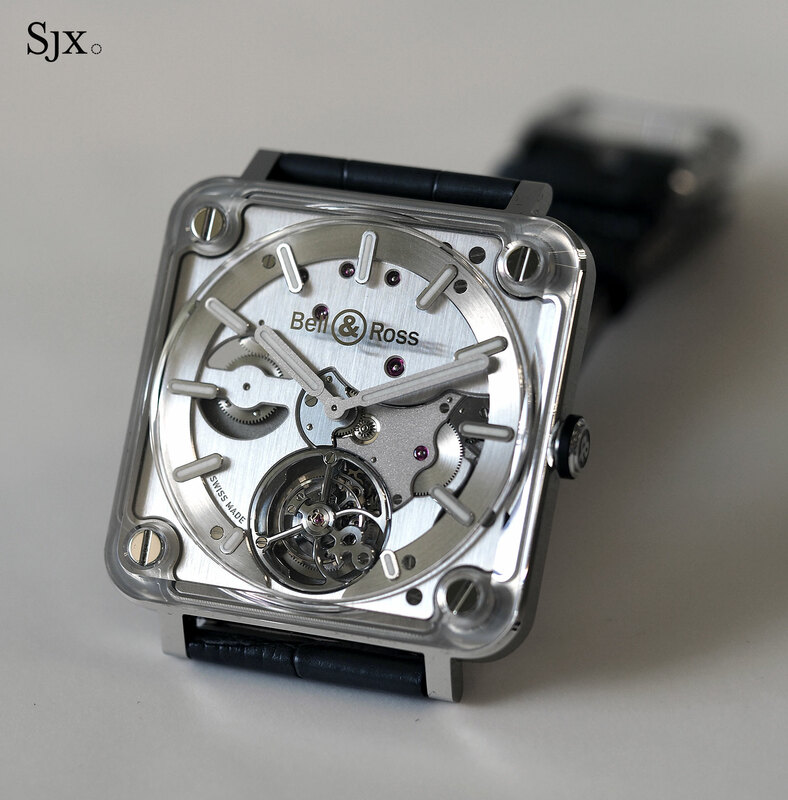 BRX2-MRTB-ST) is a limited edition of 99 watches, priced at US$64,900 or S$95,000. 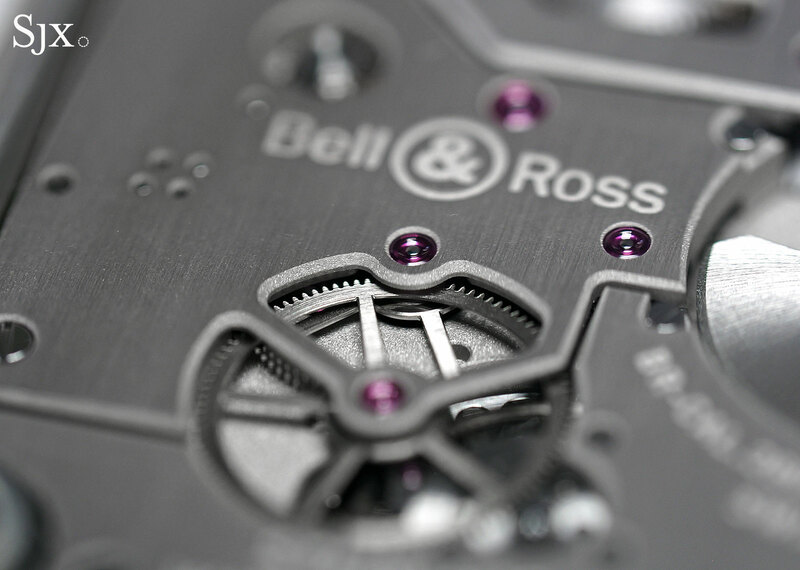 While that’s many multiples the cost of the average Bell & Ross wristwatch, it places the BR-X2 in the mid-price tier for tourbillons, mostly alongside watches from smaller brands like Manufacture Royale and Arnold & Son. 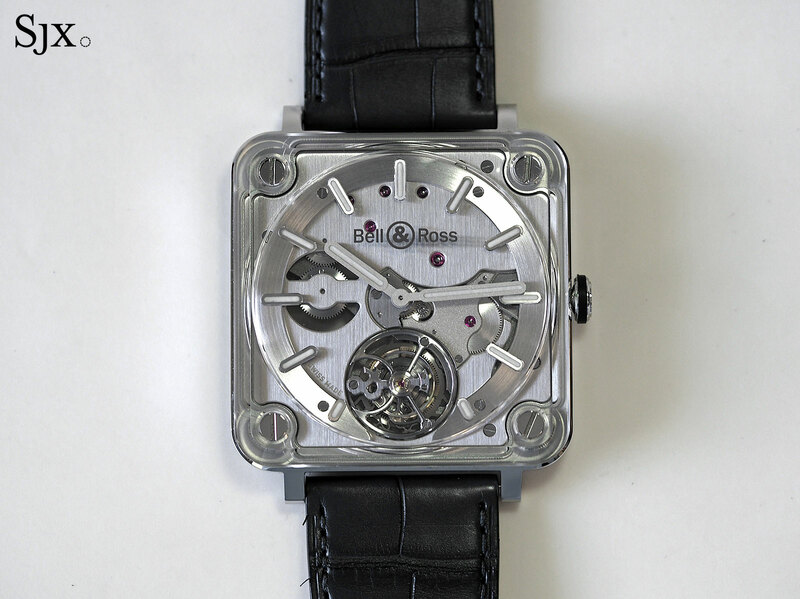 For more on the BR-X2 Tourbillon, visit bellross.com.